I had an appointment to meet with the prison chaplain in his office at 1:00 PM. I arrived my habitual ten minutes early. Actually, it was probably earlier than that, because I wasn’t sure how long it would take to clear prison security. I emptied my pockets, walked through a metal detector, signed a logbook – the result was an odd feeling of boarding an airplane mixed with visiting a nursing home. I sat in that waiting building for fifteen minutes or so as the guards paged the chaplain I was supposed to meet. No answer, no answer. Finally they offered to take me to his office where I could wait for him, and perhaps meet one of the other chaplains. I obliged, and followed the guard on the short walk outside. Arriving at the chaplain’s department I found one guard in the corridor, and four inmates inside the chaplain’s office doing clerical work. My escorting guard told me to sit in the office and wait for the chaplain. So I was left in a small office with four prisoners, serving sentences of thirty years to life, while a guard lounged in the corridor. Welcome to your prison chaplaincy internship. I wasn’t scared, but I wasn’t at ease either. To break the ice I mentioned to one of the inmates that my grandmother had volunteered at this prison for the last fifteen-or-so years of her life. When I spoke her name a reverential silence descended. She was, in fact, admired greatly by the inmates at this prison. I remember at her funeral receiving a card from the men of her Bible study, and they mentioned the grace she reflected to them after communicating her diagnosis of breast cancer. Chaplain Pall finally arrived – he was detained in an administrative meeting. Like many men who enter the ministry, Chaplain Pall discovered that a large part of his job was organizational and “clerical.” He spends probably half of his day investigating and discerning the validity of various inmate requests – most often for facial hair or long beards (from Muslim inmates), dietary restrictions, possession of religious articles. He is very good at his job, both as a spiritual director and an administrator. He demonstrated his acumen by showing me all the elements that were going into the audit from the head chaplain of the state prisons– the contents of which the inmates were collecting as I waited for him. It took me some time to digest the complex difference between state and county prisons. In our first year of seminary we were required to do ten sessions or so of Bible study at a local county jail. “Counties” have a reputation for being rougher. They are, by design, temporary institutions. Usually the maximum sentence someone will serve at a county jail is three years; it also holds people awaiting sentencing, before they’re transferred to state prisons. 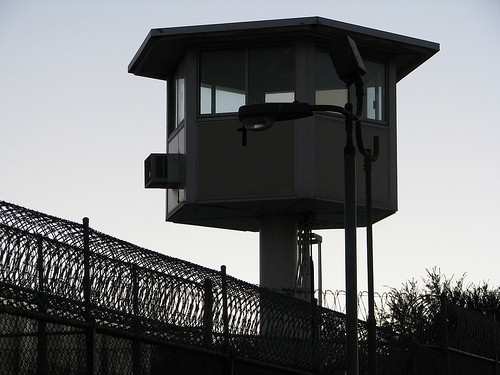 As a result, county jails have a high turnover rate, and perhaps a worse distinction for violence. State prison, on the other hand, is a different world. For people in spiritual states of instability, it offers stability. Chaplain Paul described it like living on a cruise ship, in the sense that everything one needs is offered on-site. Some men went in knowing they would spend no more than ten years there. (There’s a quote from the HBO series The Wire: “You only do two days: the day you come in…and the day you get out.”) Others entered with life sentences. Many of the men involved in the chaplain’s department were serving life sentences. In fact, they nearly considered it a virtue that they had no hope of getting out, yet they had turned and devoted their lives to Christ through service. The men I spoke with frowned upon those who “got religion” in order to look better for a parole review board, or a commutation hearing. Talking with the inmates prompted my question: how does one find salvation on a cruise ship? Or, in other words, what does it mean to be saved when we can’t “do” anything in response? Most often as Christians we are obsessed with “doing things” in order to show our faith. “OK. I believe in Jesus Christ, I believe in the Orthodox Church. Now what?” The classical Christian response has been the triumvirate of prayer, fasting, and charity. But we always look for ways in which our belief in Christ actually changes the way we live, the way we understand our routines – we so often want to offer a testimony. In prison, so much is dictated to the inmates. There is very little in terms of the modern god of “choice,” very few identity markers we hold onto in order to differentiate ourselves from others. I think in prison this process of salvation-by-renewed-understanding is even more clear; it takes great determination, struggle, and prayer to reorient one’s understanding, one’s vision of life, in terms of Christ and his struggle. In Les Misérables, Victor Hugo focuses on the difference between Jean Valjean’s experience in prison – a sort of forced monasticism – and his experience living as the caretaker of a convent. “On one side, robbery, fraud, violence, lust, homicide, every sort of sacrilege, every variety of offense; on the other, one thing only – innocence”. Although the “penitentiary” format of corrections is no longer favored in America (the idea that putting offenders in solitary confinement with a Bible would lead them to repentance was abandoned in the early 20th century), there is still “every sort of sacrilege, every variety of offense” in prisons. Yet there is still innocence – innocence through Christ. So, of course, there are still men in prison like one inmate I met – serving a life sentence for murdering his ex-wife, but who was hoping that through his good behavior and volunteership in the chaplain’s office he could receive a commutation. But there are also men who, like another inmate I knew, exude a certain sense of tranquility and silence, knowing that they are physically in chains but remain exuberant in living and proclaiming the gospel (Eph. 6:20). 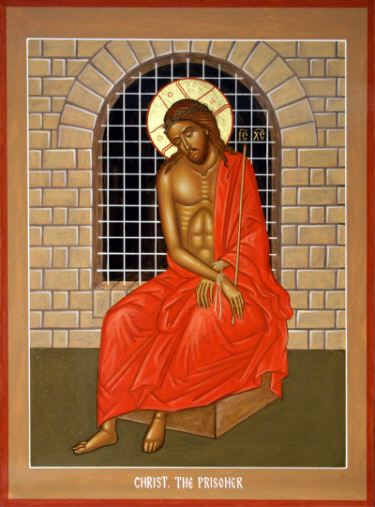 As Orthodox Christians, we can learn much from the mindset of the prisoner: examining our actions, our thoughts, our lives, to make sure that we are only being motivated by Jesus Christ. This entry was posted on Friday, September 21st, 2012 at 11:54 am and is filed under Uncategorized. You can follow any responses to this entry through the RSS 2.0 feed. You can skip to the end and leave a response. Pinging is currently not allowed.